How to Be Treated Fairly After a Motorcycle Accident | Hupy and Abraham, S.C. 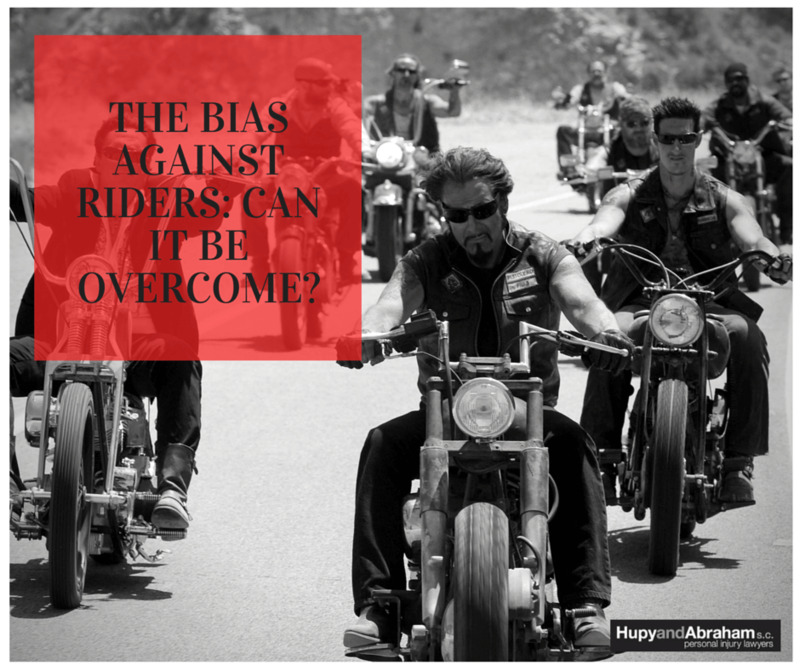 The Bias Against Riders: Can It Be Overcome? Anecdotes and the long experience of motorcycle injury lawyers suggest that there is a deep cultural prejudice against people who choose to ride motorcycles. Riders are seen as irresponsible and often negligent. That’s a heavy burden of bias at the best of times. The challenge gets even worse when a rider has been injured in a motorcycle accident. Even if someone else is responsible for the crash, it will take the skill and expertise of a motorcycle wreck lawyer to overcome this deep-rooted prejudice and to help the rider get the fair recovery he deserves. It can result in a biased jury. Most jury members drive cars, and car drivers often bear a grudge against motorcyclists. If an accident involves a motorcycle, some jurors begin with the assumption that the rider was at fault in the collision. A skilled motorcycle injury lawyer can offset this jury bias in the courtroom and win fair compensation for his client. It can result in lower settlement offers. Unfortunately, insurance adjusters also know that juries hate riders. They will use this bias as leverage to pressure an injured motorcyclist to settle his legal claim for a lower amount of money. They figure that the jury would not give the rider fair compensation for his lost time from work, pain and suffering, and other losses—so why should the insurance company? A motorcycle accident lawyer who deals regularly with insurance adjusters will demand that you receive every penny you’re due for your losses and injuries. It can result in incorrect police statements and witness reports. In our experience, police officers are usually decent human beings who—in most cases—try to treat everyone fairly. However, when a car collides with a motorcycle, the rider is usually the person most injured at the scene. It often happens that a rider may be too injured in a motorcycle accident to tell his or her side of the story to police, and so the police may end up misidentifying the person at fault. Similarly, witnesses tend to put too much blame on the rider rather than other drivers when a traffic crash occurs. Your attorney will need to be ready to conduct a full investigation, even visiting the accident site, to determine who was responsible for the accident. These problems are significant, but they are not insurmountable. You can overcome the bias of witnesses, the police, insurance adjusters, and juries with the help of an experienced motorcycle accident injury lawyer who regularly represents riders. At Hupy and Abraham, we understand rider/rider culture, and we’re well acquainted with public prejudice against motorcycles. We also win cases and secure fair settlements for our clients, despite the anti-rider bias. You can check us out risk-free. Call us today at 1-800-800-5678 to get a FREE copy of our book, The Ultimate Guide for Motorcycle Accident Victims, as well as your free Riders’ Rights card. Read the book—it’s yours to keep, even if you don’t hire us. Then contact us to get a free, no-obligation consultation about your case.